Everyone’s heard of Machu Picchu in Peru. 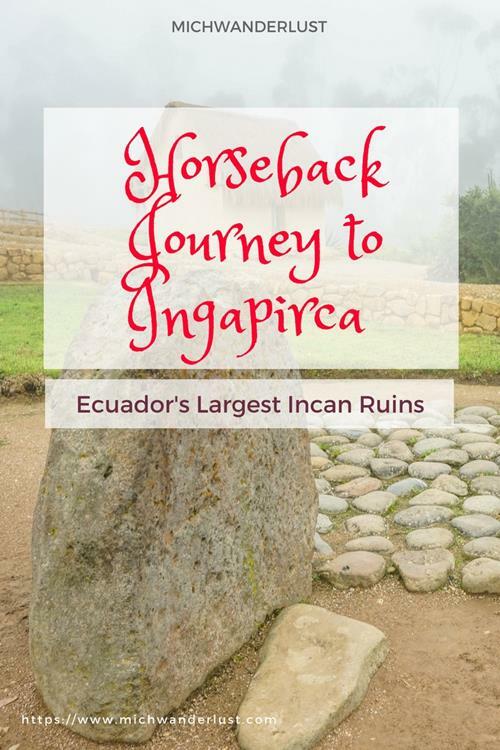 But have you heard of Ingapirca, the Ecuadorean version? 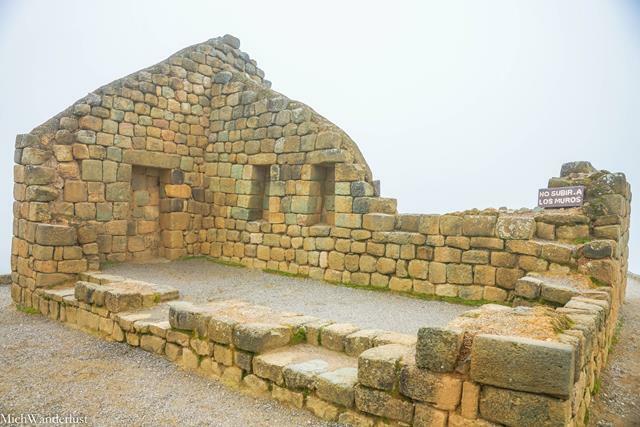 As the largest and most well-preserved Incan ruins in Ecuador, Ingapirca is sometimes known as “the Machu Picchu of Ecuador”. I mean, I won’t lie – if you’ve been to Machu Picchu, Ingapirca probably pales in comparison. 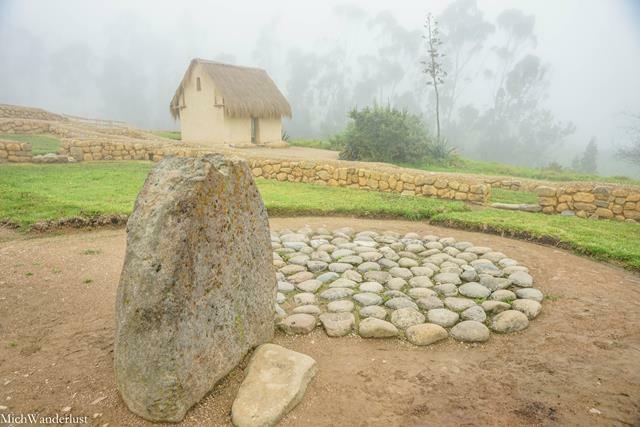 But what makes it special is that it was a fusion of two cultures, the indigenous Cañari and the Inca occupiers. 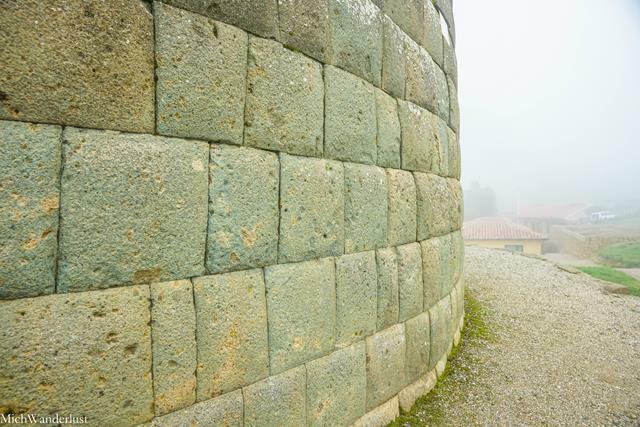 Ingapirca is a Kichwa name meaning “Inca (Inga) wall (pirca)“. 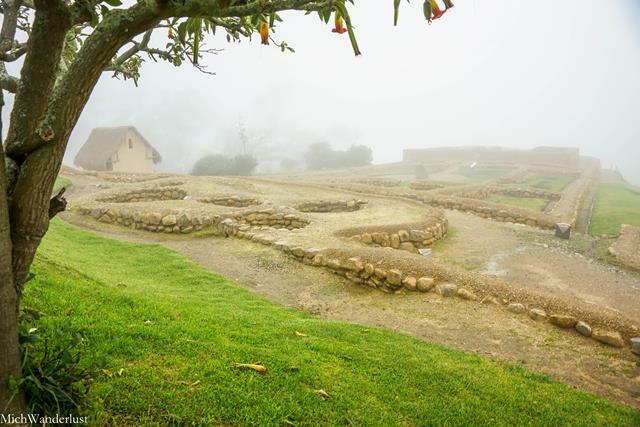 It was originally settled by the Cañari at least 1,200 years ago (according to excavations). Then, in the 15th century, the Inca arrived. Unable to achieve a quick victory over the Cañari, they eventually entered into a political alliance – sealed, as seems to be the tradition the world over, by a marriage between Cañari princesses and Incan nobles. 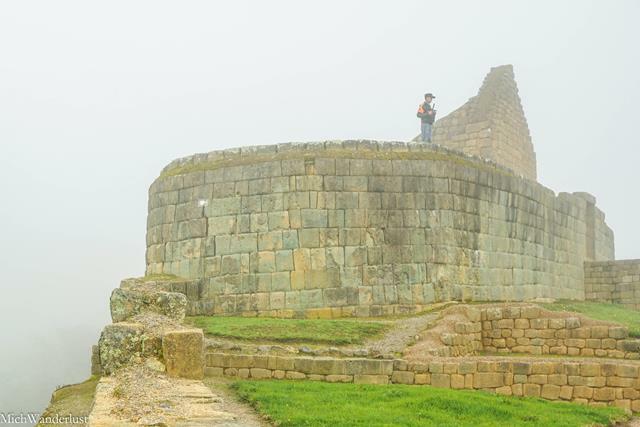 Ingapirca became a city of great religious, political, military and administrative importance for both the Inca and the Cañari. It seems that they coexisted peacefully, doing their own thing (the Cañari had a temple of the moon, while the Inca built a temple of the sun). But this early example of multiculturalism didn’t last long. Before construction of the city had even been completed, along came the Spanish conquistadores. 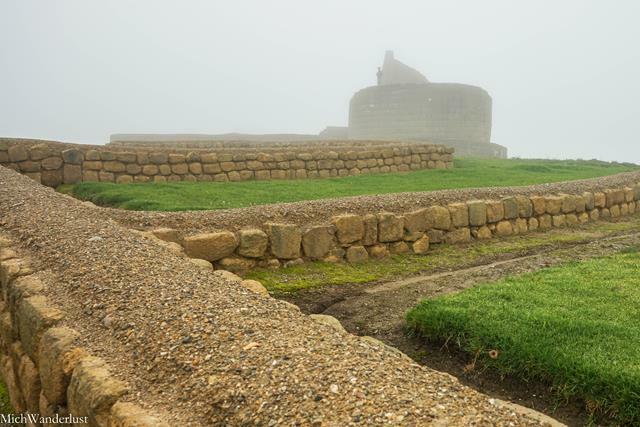 And you can guess what happened next – a massive number of people died, and when the dust had settled, the Spanish carted away most of the stones for their own buildings. Since I have a thing for Pre-Columbian history, I couldn’t pass up this opportunity to visit Ingapirca. 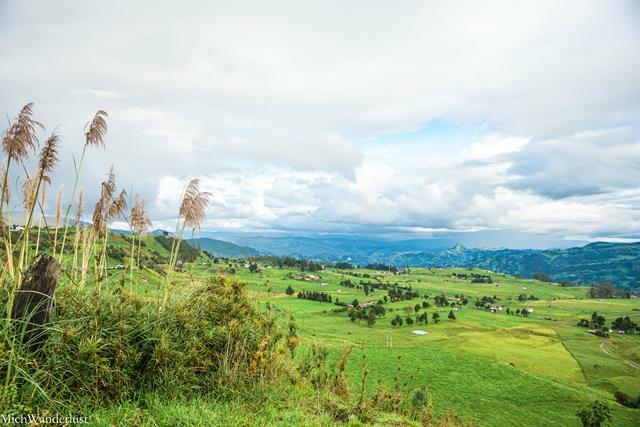 Ingapirca is easily accessible from the southern city of Cuenca (click the link if you don’t mind me waxing lyrical about that beautiful city). 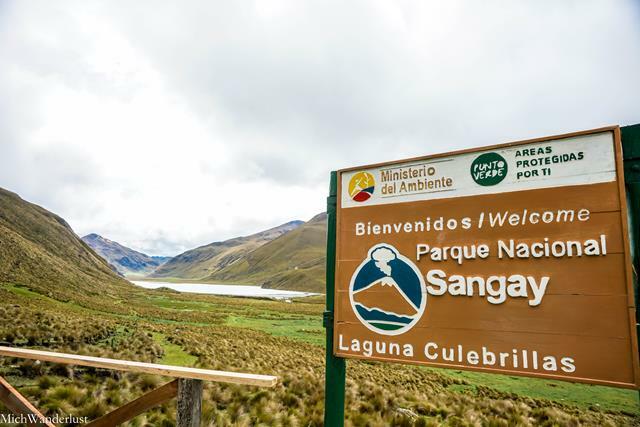 Only 1 – 1.5 hours away, it makes for a great day-trip from Cuenca. 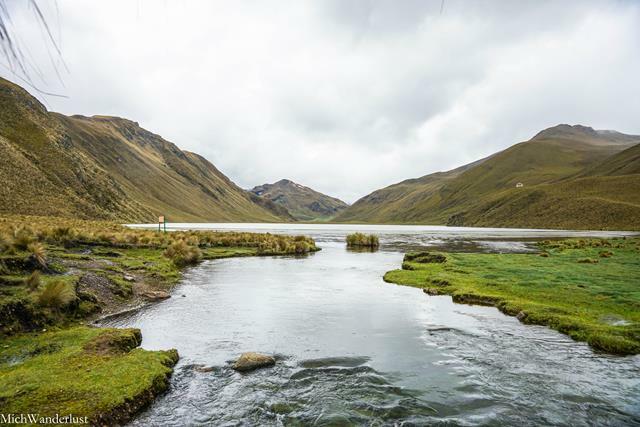 And, if you’re into hiking, you could even attempt the three-day Camino del Inca trek! 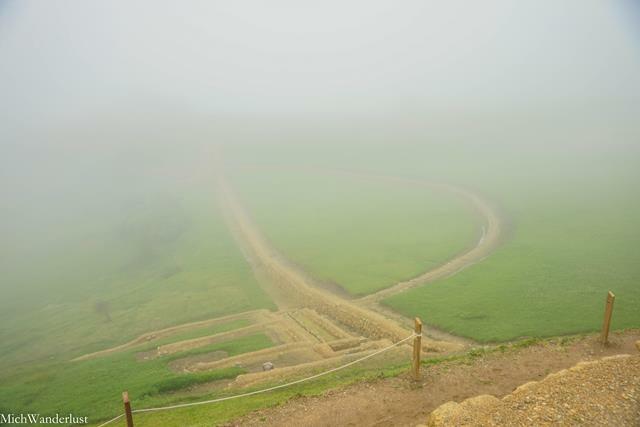 You’ll basically walk part of the ancient Incan highway that connected Quito to Cusco. I was pretty keen on the Camino del Inca trek, but my husband Ian was dead set against more hiking after our epic Quilotoa Loop 4-day trek. “Enough hiking for one trip! !” he declared vehemently. He did want to see a little of the Camino del Inca though, instead of driving straight to Ingapirca and back. Horseback tour to Ingapirca – can it be done? Yes! 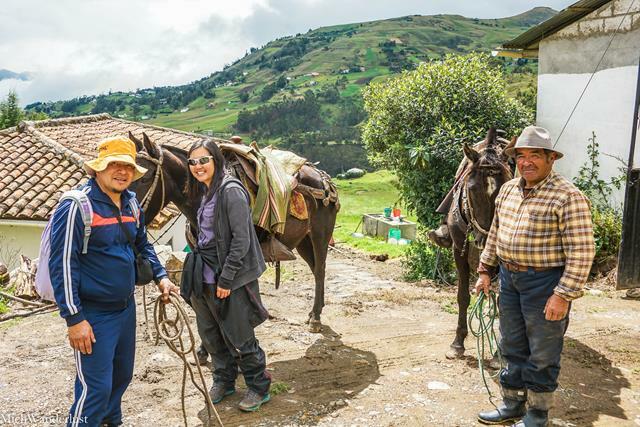 But as you might imagine, it was rather difficult to find tour operators offering horseback tours to Ingapirca from Cuenca. But where there’s a will, there’s a way (mostly)! We ended up having a customised private tour by Arutam Ecotours, where we would ride to Ingapirca and then get driven back. This was apparently a groundbreaking tour. 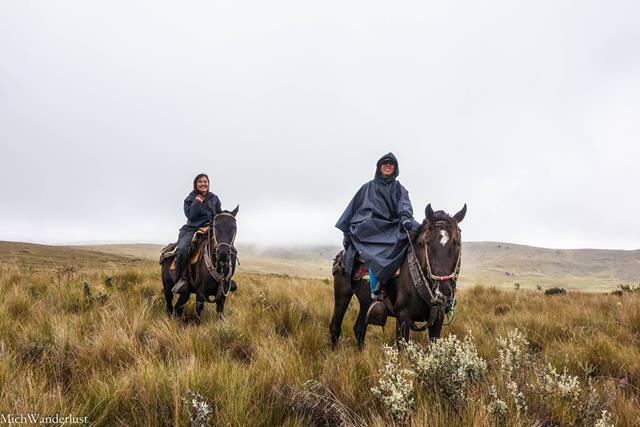 Our guide told us it was the first time he’d ever brought tourists to Ingapirca on horseback! The price, of course, reflected the logistical difficulties they faced. We paid US$140 each for the trip, as compared to the US$50 for a normal day-trip to Ingapirca. But later, on learning all our guide had to go through to bring the horses to us, we felt that the US$140 was more than fair. The day started early. Really early. Xavi from Arutam Ecotours picked us up at 7am and drove us to the Laguna de Culebrillas, where we would meet our guide (and the horses). 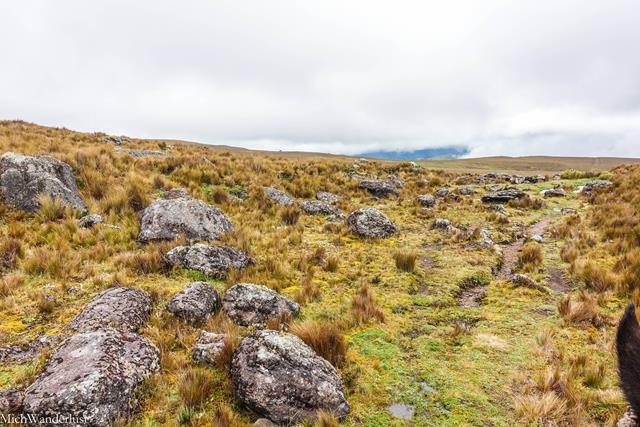 The cold only added to the otherworldly atmosphere of the páramo (alpine tundra ecosystem above the treeline but below the permanent snowline), though. The lake itself is considered sacred. 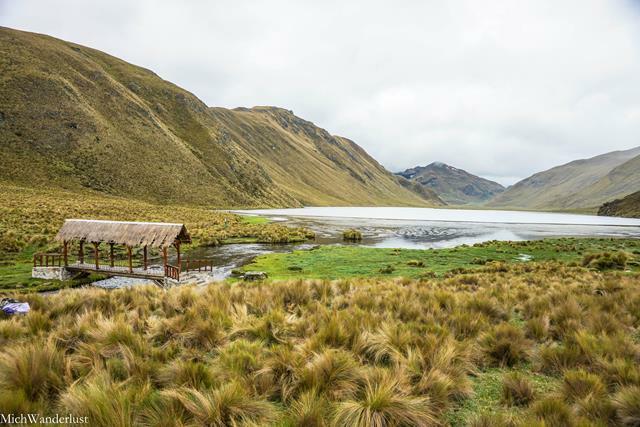 According to legend, the mythical snake of the Cañari people (from whom they are descended) hid itself in the lake. The name of the lake puzzles me a little, though. Culebra means snake in Spanish, which would make sense in this context. But Google Translate tells me that culebrilla means shingles?! And a quick Google search throws up mainly Spanish-language results, so it’s safe to say that international tourists haven’t really discovered it (yet). I can see why they thought this lake was magical. Our guide, Macias (who is Cañari and actually from the Ingapirca area! 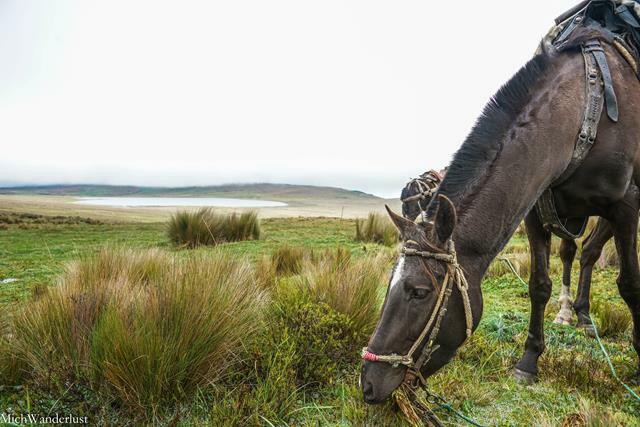 ), and the horses were waiting, as promised, at the Laguna. I got a bit of a shock when I realised he had only brought 2 horses. It turned out that he was planning to walk the entire way! On further questioning, we found out that the horses belonged to his uncle, who lived near Ingapirca. His uncle had a third horse, but as it hadn’t been ridden in a while, it had become a bit unruly and difficult to ride. So he had decided to walk rather than risk riding that horse. That US$140 per person seems well-earned now, huh? Yup. That’s the Inca Trail. I understand if you’re confused. It’s been in ruins for centuries, and certainly doesn’t look like a highway anymore! You can still see the remnants of a path, with the grass on either side growing longer and thicker. We walked / rode along the Camino del Inca, stopping to take occasional breaks while Macias pointed out a number of endemic plants. 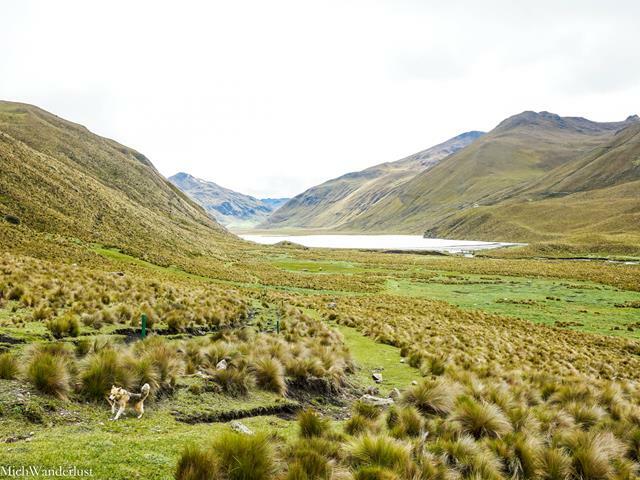 We left the Inca trail and walked in the fields running alongside it at times. It was actually more fun than the actual trail because the horses liked the fields better. We would canter and even gallop, while our guide walked along the trail, before joining him again. 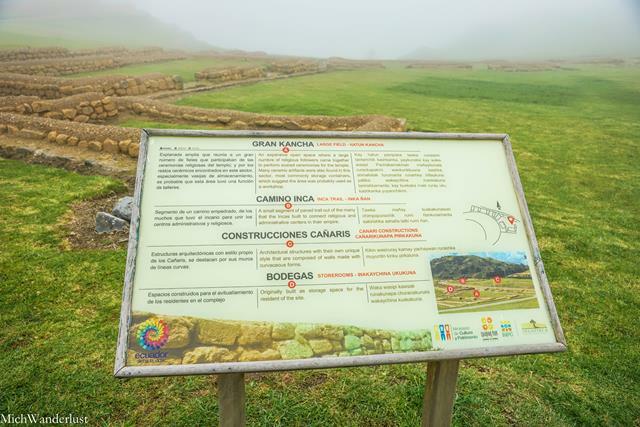 At some point, the Inca Trail became a paved road. And it went mostly downhill, so the horses could only walk quite slowly. We also lost some altitude. The air became warmer, and we started seeing trees and lush green fields. I needed to stretch my legs by this point, so I persuaded (basically ordered) Macias to get on my horse while I walked. They were going slowly enough that it wasn’t hard keeping up on foot! 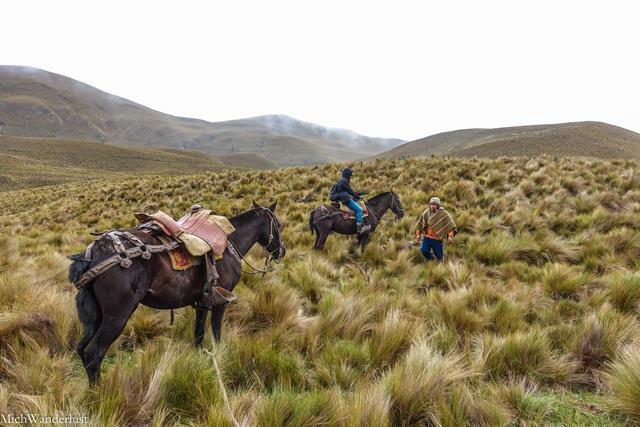 After we reached the farm and returned the horses, it was a short distance more on foot to Ingapirca. We reached Ingapirca just before 3pm and decided to eat lunch before touring the site. By the time we had finished lunch, a dense fog had rolled in, leaving us with extremely lousy visibility. For comparison purposes, this is what it looks like on a clear day! So… a word to the wise. If you can, go as early as possible in the day, before the fog rolls in! Even if it’s foggy when you arrive, you can always wait around to see if it clears up. I actually kinda like the ghostly trees rising eerily out of the background, don’t you? Anyway. 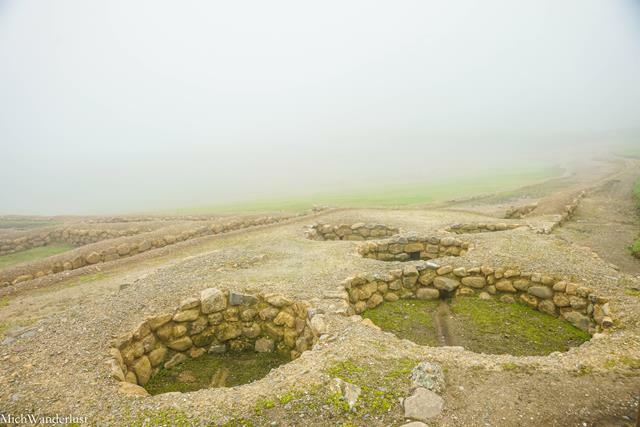 This circular stone arrangement marks the 1,200-year-old burial ground of a Cañari woman. It’s thought that she must have been Very Important because the remains of other women were found surrounding her, as if they had all been buried together with her. 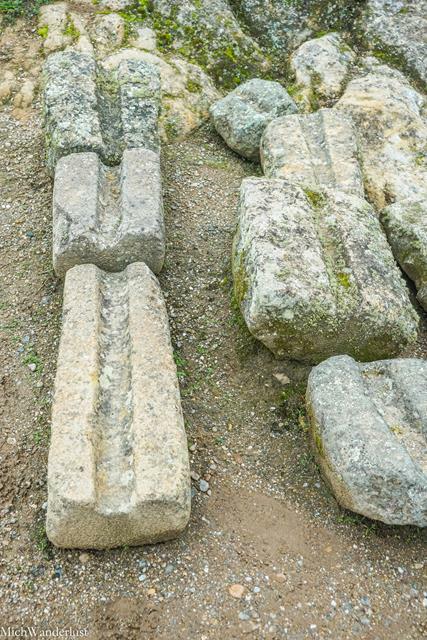 The Cañari moon temple was also around here, although all that remains today are the foundations. On a clear day, you can see all the way across this field. I wonder what it would look like if the buildings were still standing! I really liked the trilingual signage (Kichwa, Spanish and English). It’s a nod both to practicality and history. 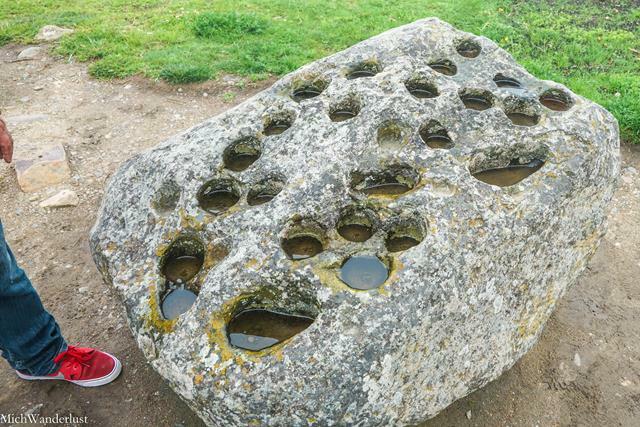 These stones are so much like their modern-day versions (below)! We saw at Kushiwaira that the Cañari still use them to make machica de maíz today. Isn’t it cool how something like this has survived all these centuries? There are also some interesting collections of what look like pipe systems…? 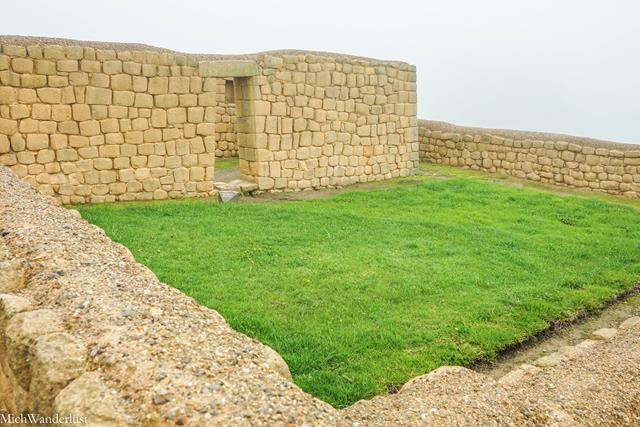 This is the highlight of Ingapirca, not least because it’s the only structure left more or less intact! As you can see, they even keep a guard posted there – presumably to prevent people from jumping over the walls, I guess?! Unlike the Cañari, who worshiped the moon, the Inca worshiped the sun. So this temple is all Inca. 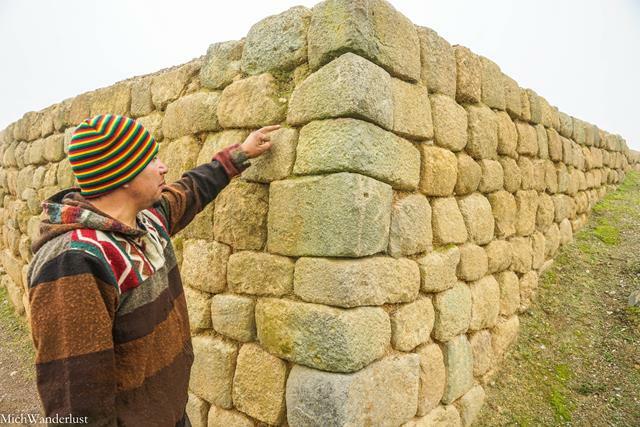 The walls display typical Incan workmanship – see how the stones are cut and fit perfectly together without mortar! Now, I’m no engineer, but that seems like a pretty remarkable feat to me. It boggles my mind how they could build such perfectly slanting walls and doorways that still hold up after all this time. They also had different ways of constructing walls for temples (above) vs. normal buildings (below – the outer walls surrounding the temple). You can see the rocks aren’t cut quite so carefully. Right in the middle of the temple (below) is where they would have performed their rituals on festival days. It’s quite sad that they have to put up a sign saying “don’t climb on the walls” – I guess even that didn’t deter people enough, so they had to post a guard there! Our guide told us that the temple would have been filled with lots of gold, but when the Spanish came, the Incan general Rumiñahui took it all and fled. The gold was never found, even though he was eventually caught and killed by the Spanish. Fun fact: if you’re ever in Ecuador, look around for streets or neighbourhoods named Rumiñahui, or statues of him. There are a quite a lot! There’s also a museum near the site entrance, but we skipped it because we didn’t have enough time. Admission is included with the Ingapirca admission fee. Getting there: There are buses which run between Cuenca and Ingapirca twice a day, or you could go on an organised with one of the tour operators based in Cuenca. Admission: I was told that you can only enter with a guide. It costs around $6. 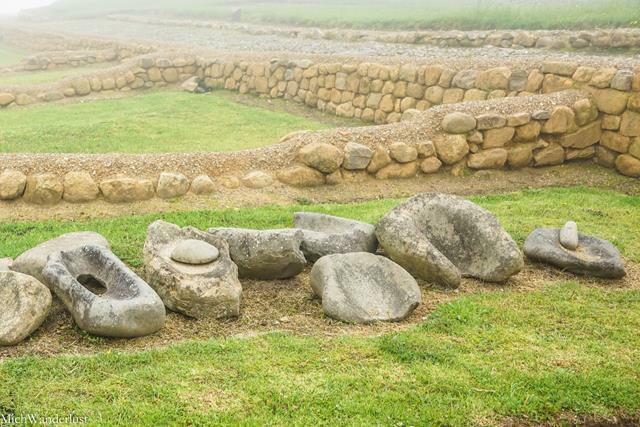 You can also stay at Ingapirca (the village, not the archaeological site) if you want to spend more time there. 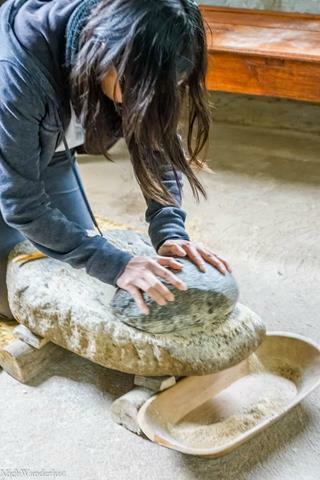 What archaeological site have you visited that made a lasting impression on you? Wow that is pretty impressive and I am really surprised more people don’t know about it. I love the lake and the Incan ruins. Your photos turned out amazing! I would love to visit, but not big on horse riding so probably would choose another option. I do think you guys got a good deal considering everything your guide went through! 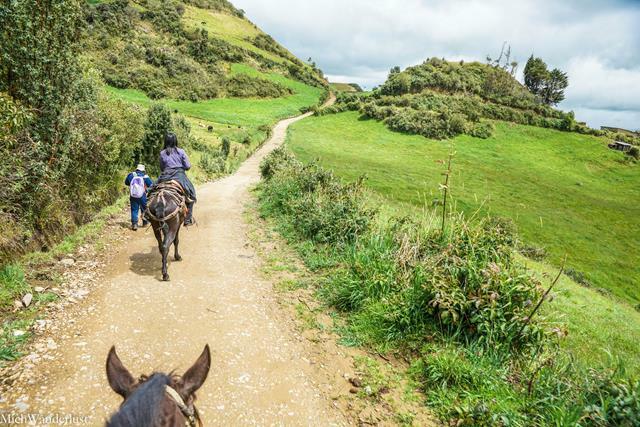 When you’ve had enough of hiking, horseback definitely seems like the best option, despite the price but it definitely looks worth it! Thanks for sharing on #TheWeeklyPostcard! I know right? You get to see the same sights from the comfort of a saddle 🙂 (That’s our preferred way to climb mountains as well, but I know sometimes it’s too steep for horses. We can be such lazy buggers haha) Thanks for stopping by! Yes, I would suggest setting aside at least 2 weeks for Ecuador, because you’d wanna visit the Galapagos too, wouldn’t you? 😉 If you like history, I’m sure you would love Ecuador because their history goes wayyyy back and they still have a number of indigenous ethnic groups all over the country, each with their own distinctive way of dressing, etc. Thanks for stopping by, Ruth! Haha, he’s been a real trooper, I gotta admit! I think Torres del Paine prices would be far higher in general than Ecuador – your car rental price was insane – but yeah this particular trip was expensive because it was private and they don’t usually do riding excursions! 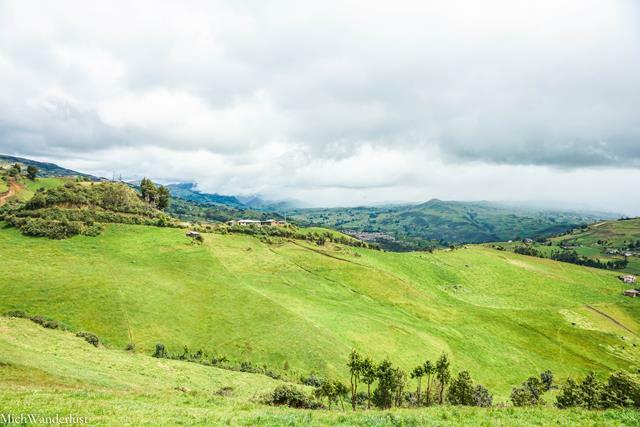 You can do a 1-day riding trip from Quito for $95/person though – so it wasn’t *that* much more expensive. Thanks for stopping by, Anda! First time I’ve read about Ecuador and its impressive. I never knew that there exists a place like this. This place is so beautiful and great one for adventurous trip. What a lovely — and historic — place to explore. And to be on horseback, too! I would LOVE that. How funny that your guide walked. I guess that makes sense, but I agree it would be a surprise to learn he had no horse. It was really fun! I’m sure he’ll make sure to get hold of a horse for himself the next time haha 😉 Thanks for stopping by, Sharon! Wow, this place looks pretty interesting and foggy. Ruins of a place always give me Goosebumps. My mind starts to wonder how was living here and starts to built stories of its own. Hey Sheena – thanks for stopping by 🙂 It’s always so interesting to imagine what it was like all those years ago. It’s hard to imagine that one day future generations might do the same for us! I loved this story so much! One, because you made it work to fit you, and two because your guide walked rather than ride the unruly horse! Such beautiful photos too!